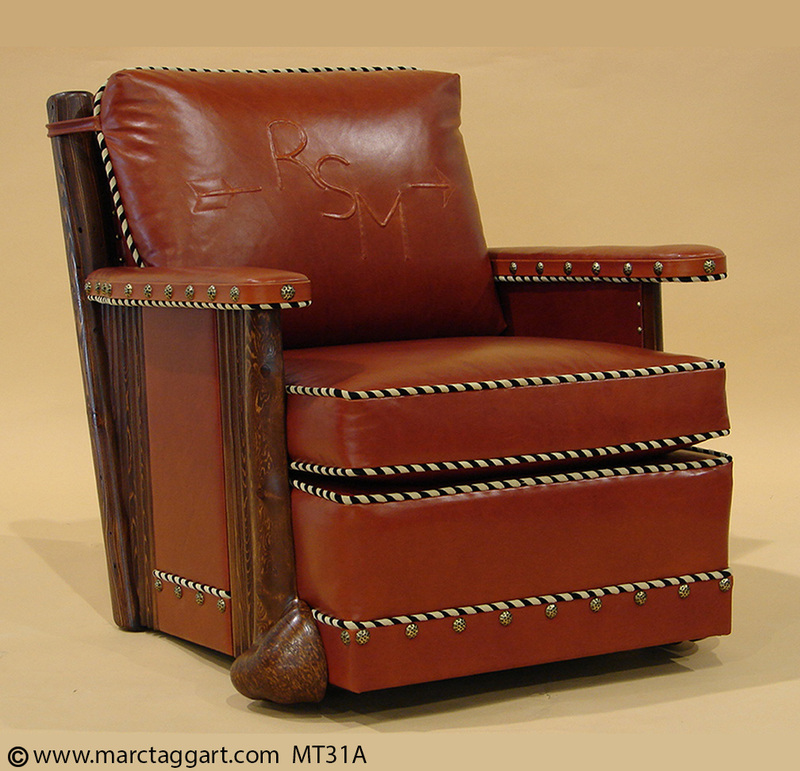 We customize each Burl Club Chair to our clients specifications. 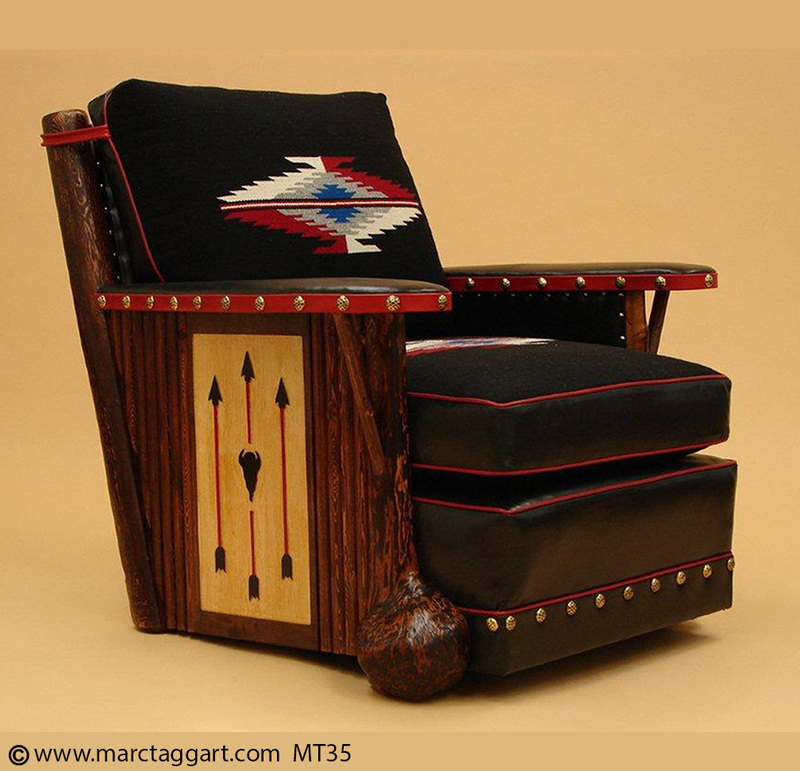 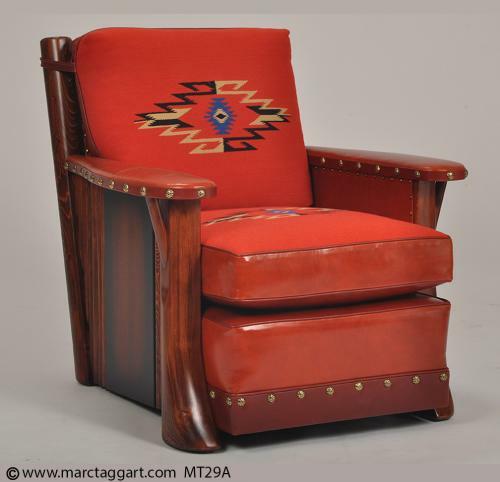 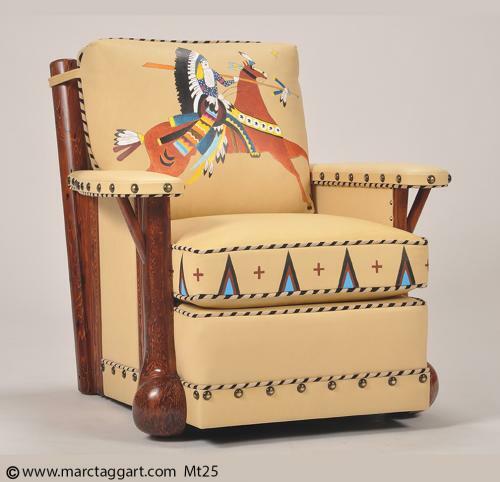 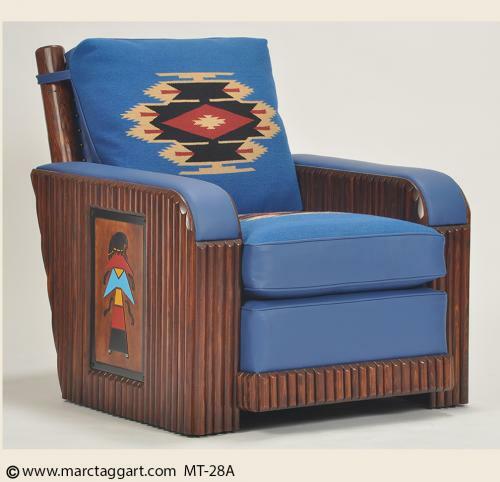 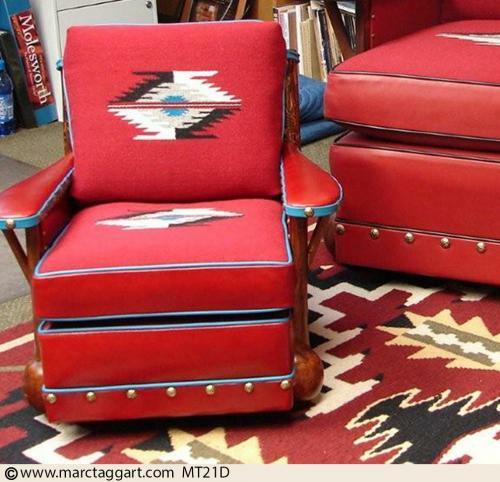 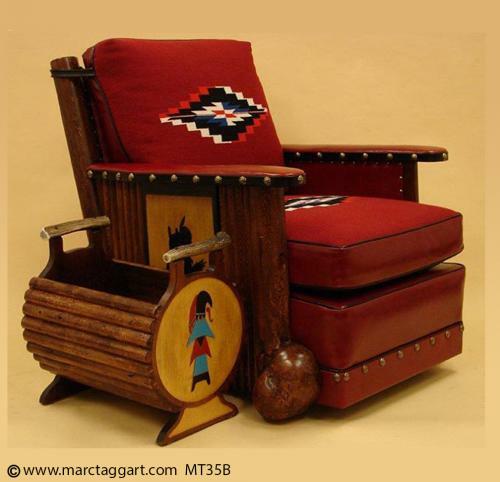 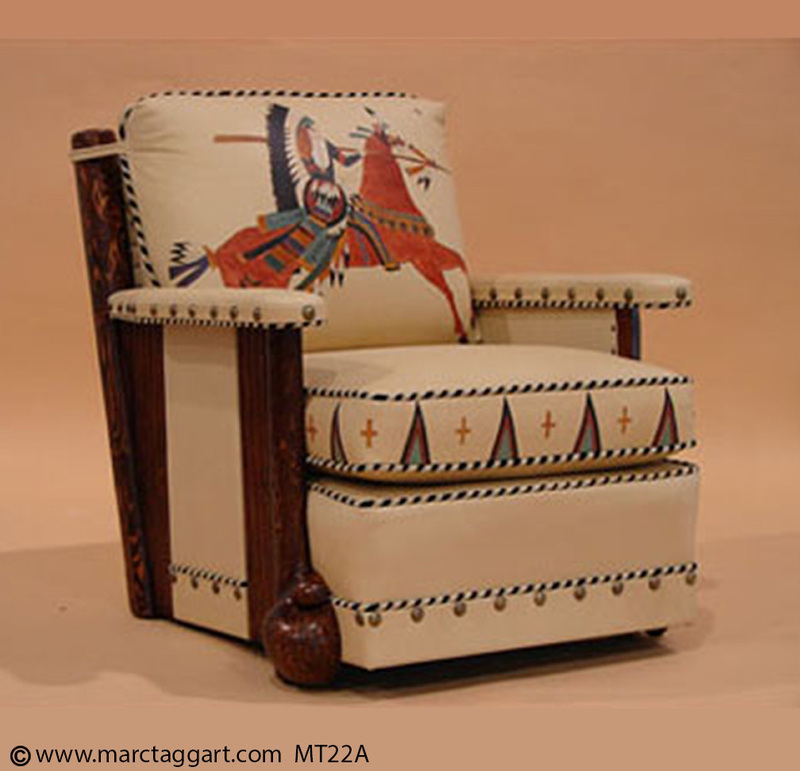 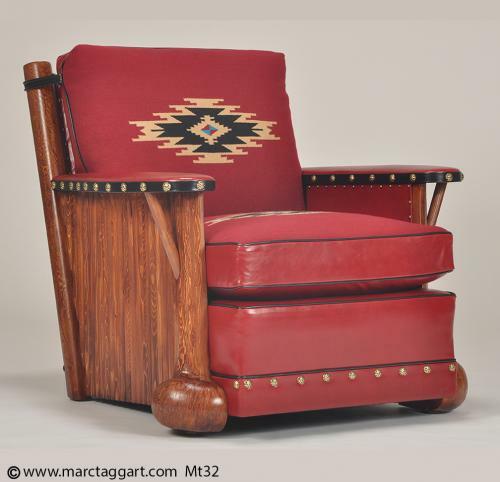 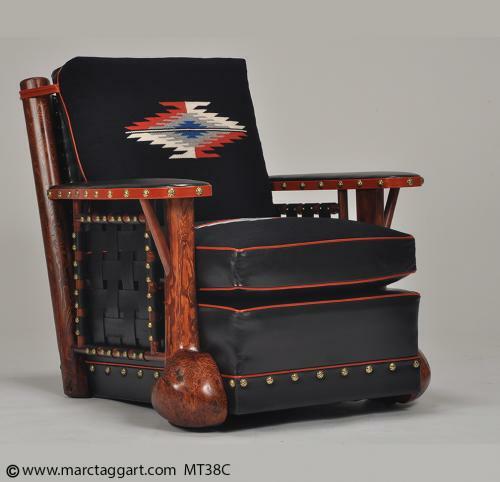 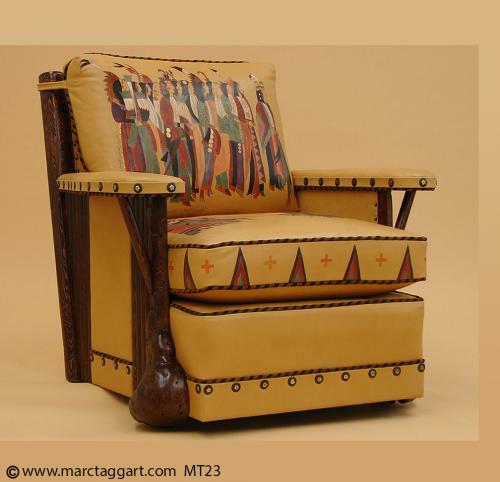 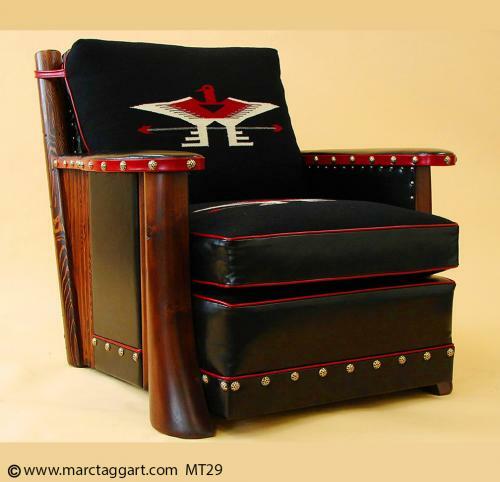 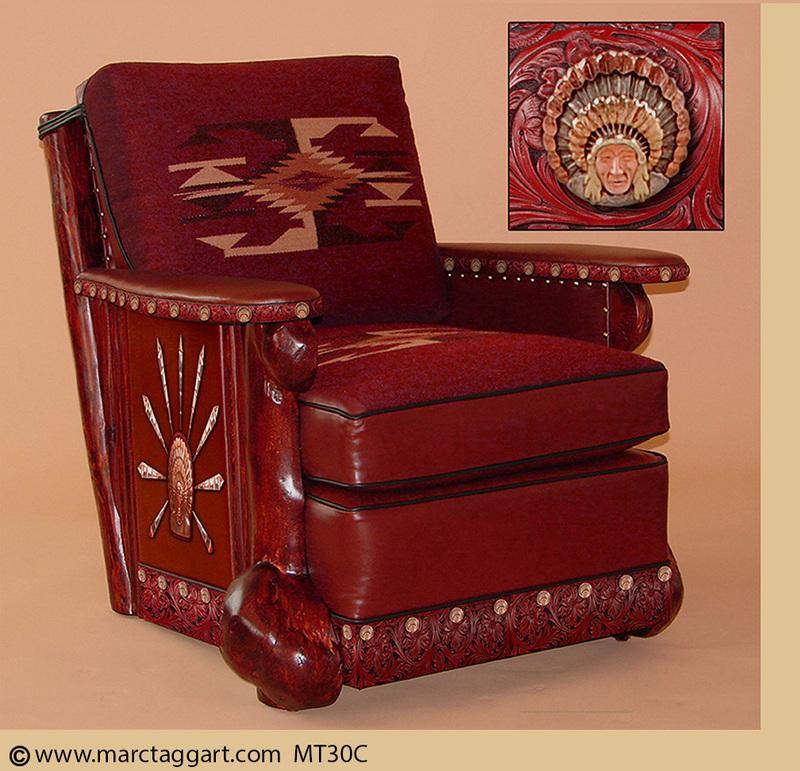 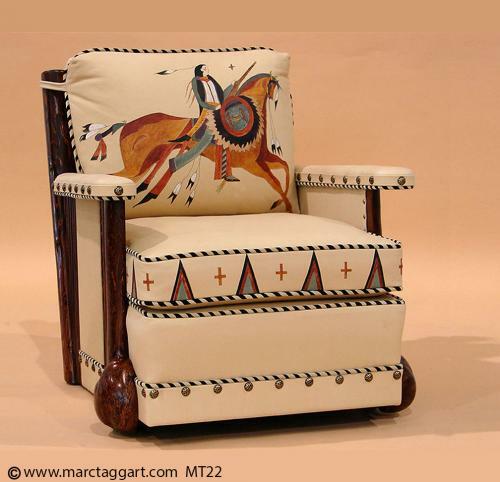 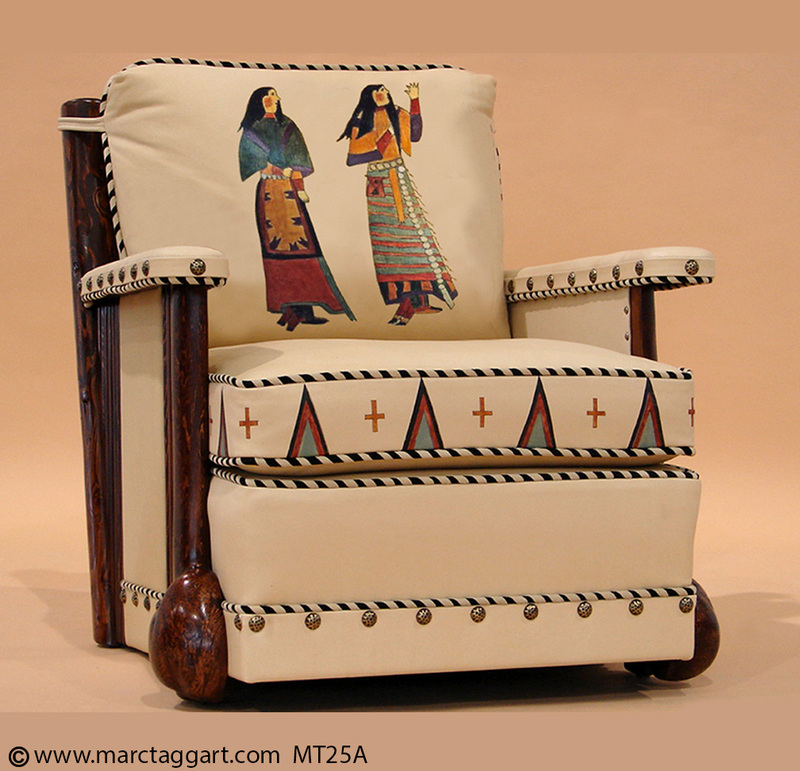 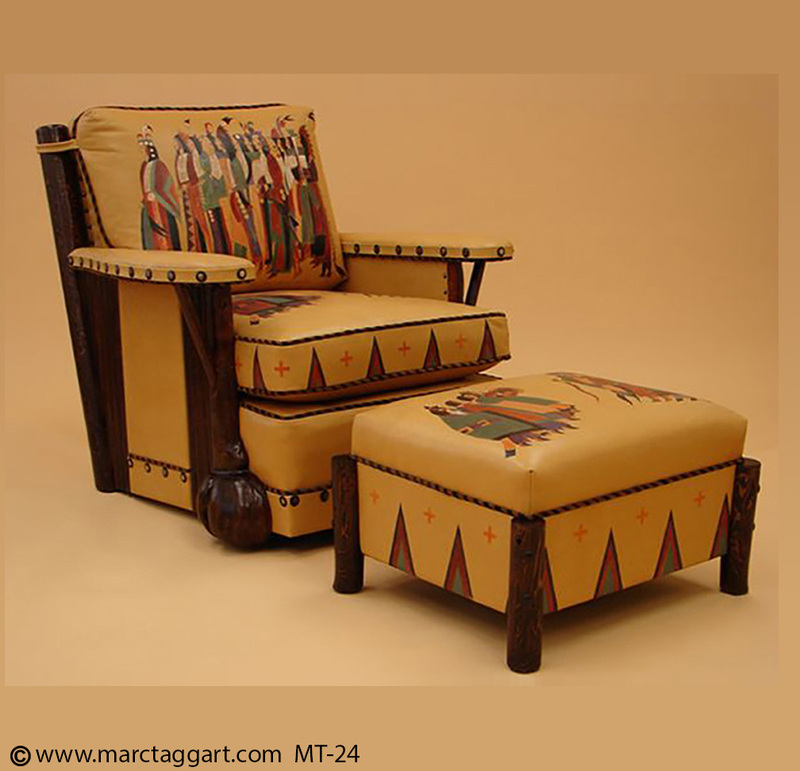 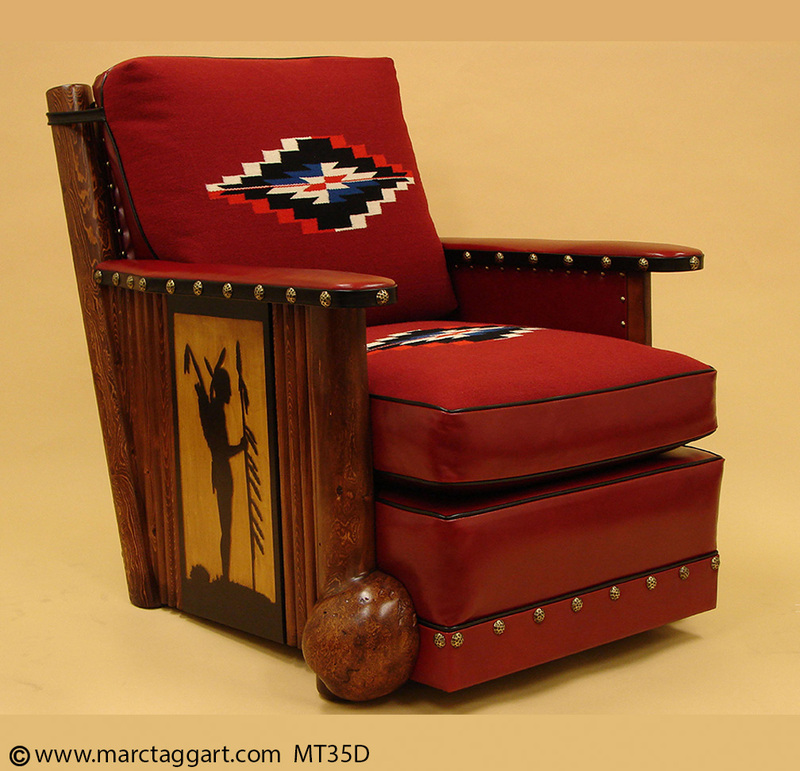 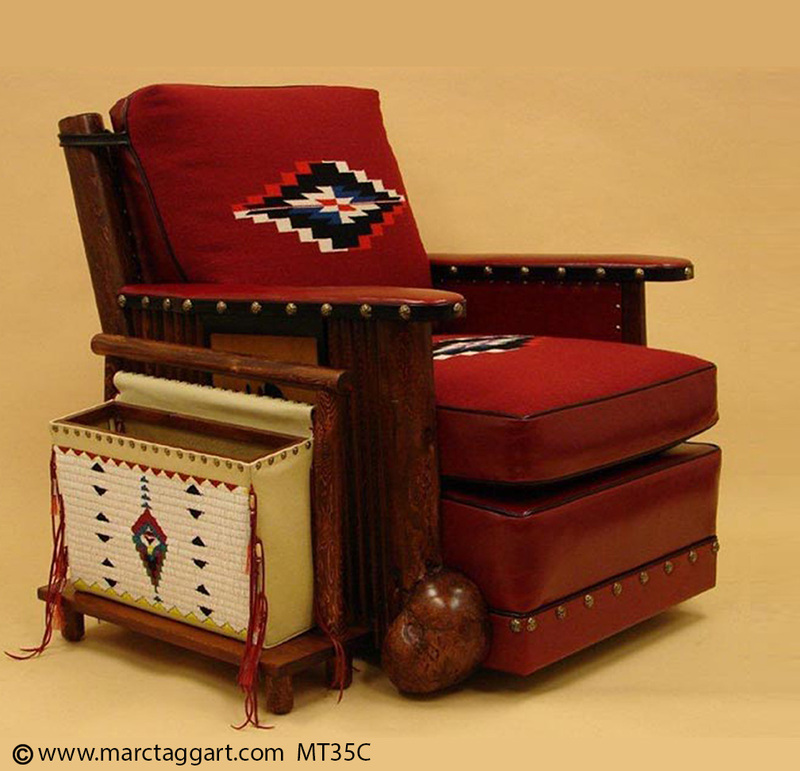 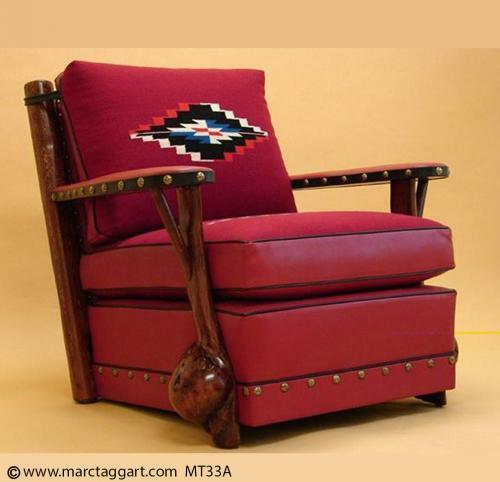 We offer Custom leather and custom wool Chimayo weavings with custom side routings. 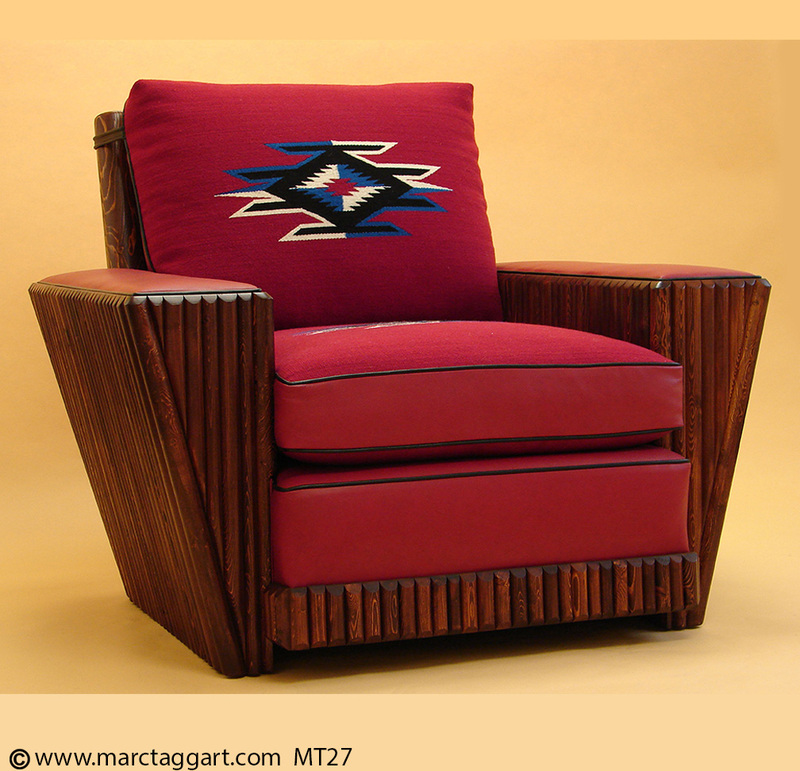 We use top quality ultra down cushions providing top comfort. The cushions are reversible with leather on one side and hand woven wool Chimayo weavings on the other. 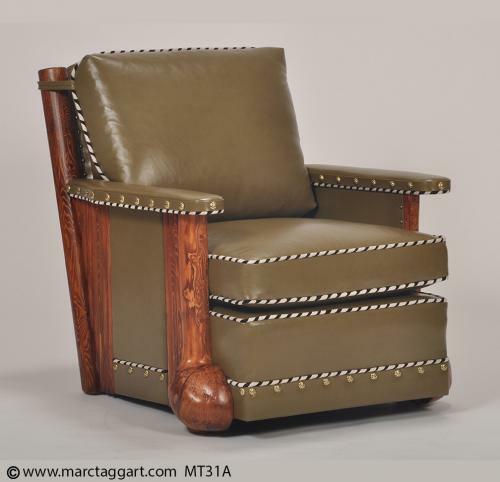 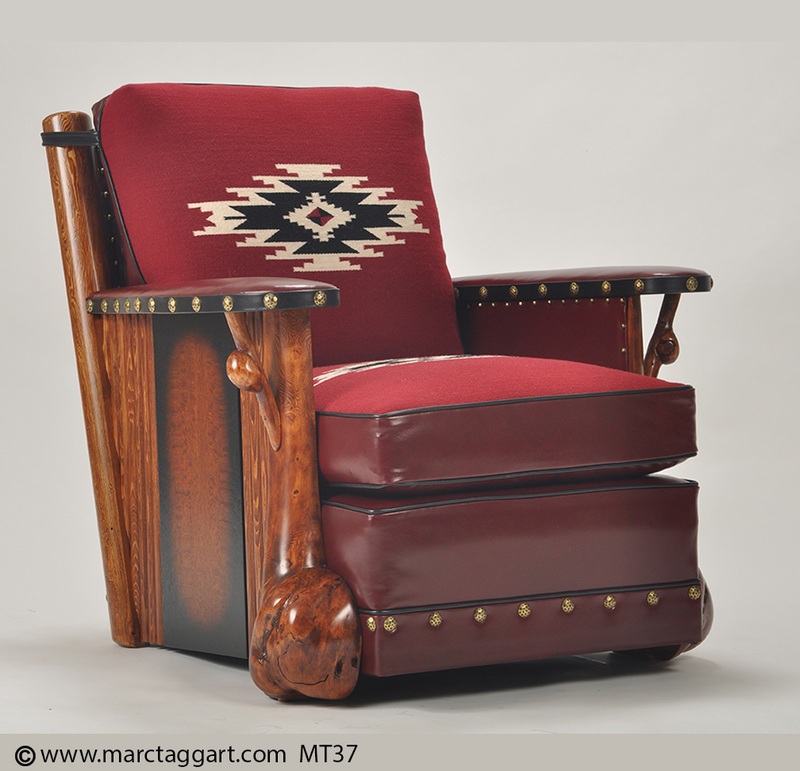 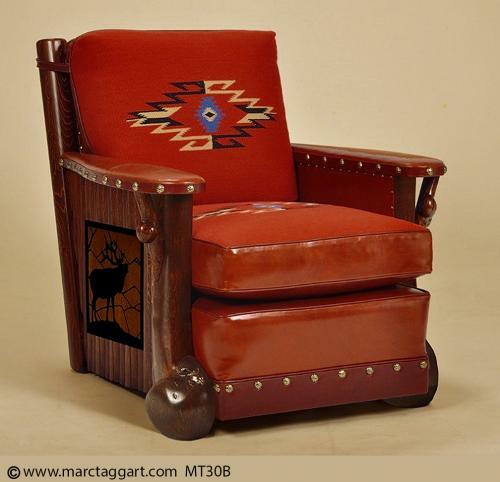 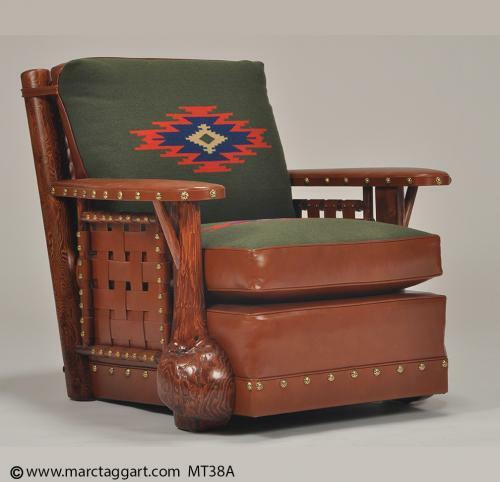 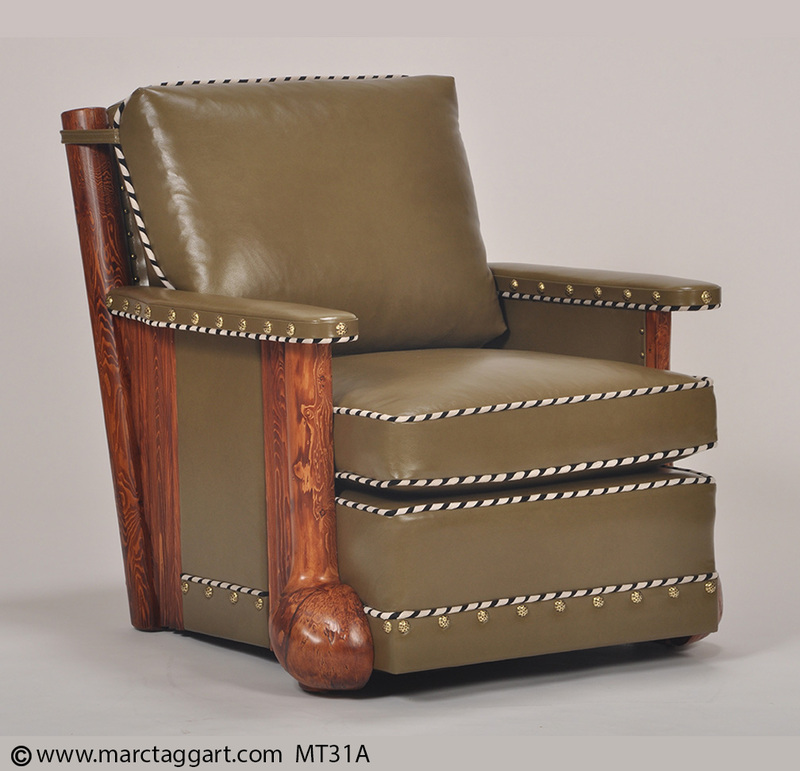 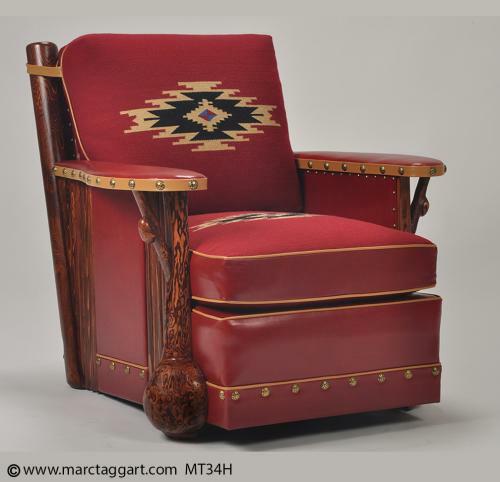 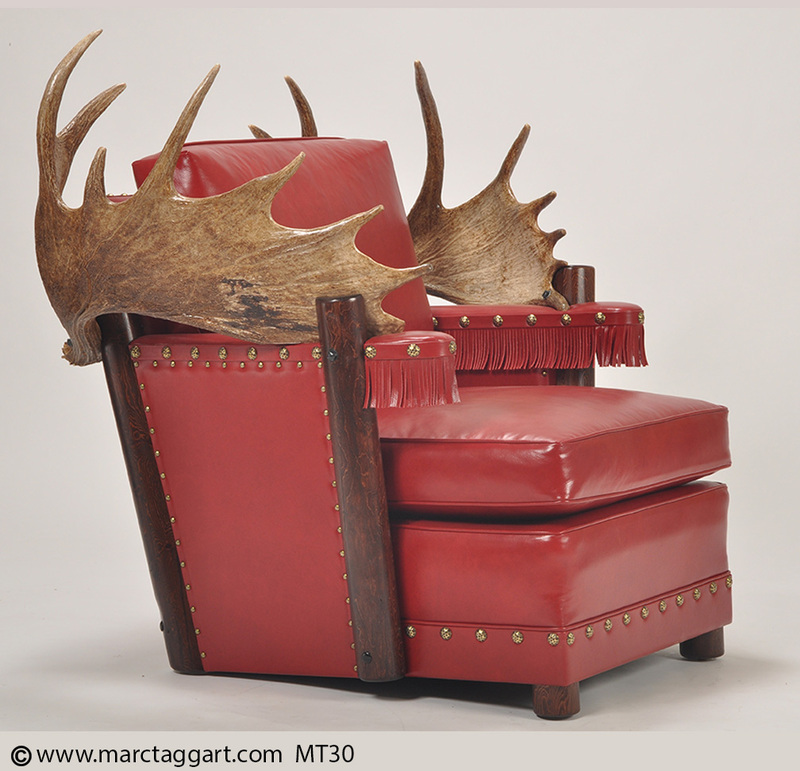 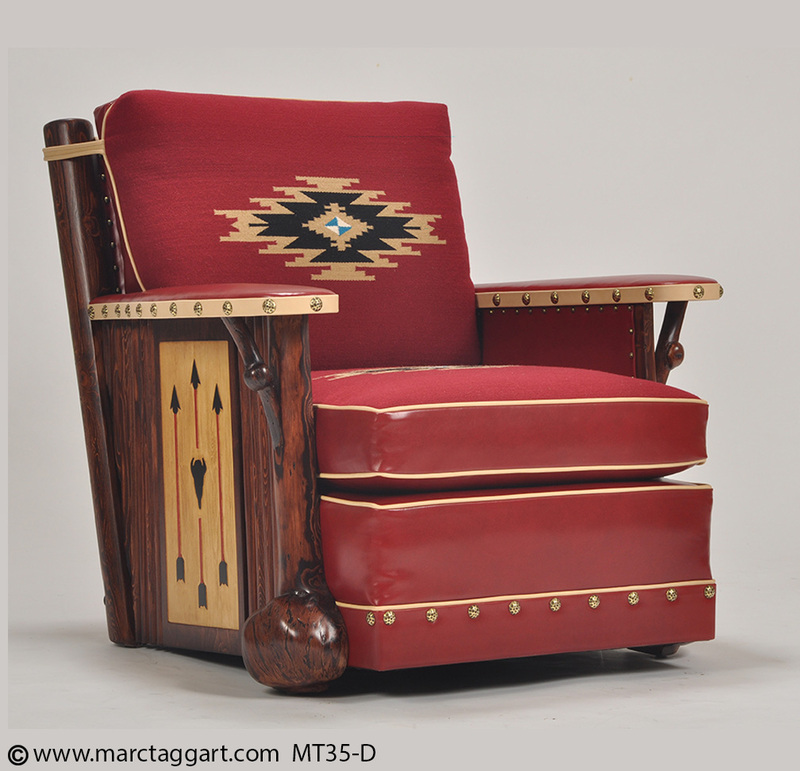 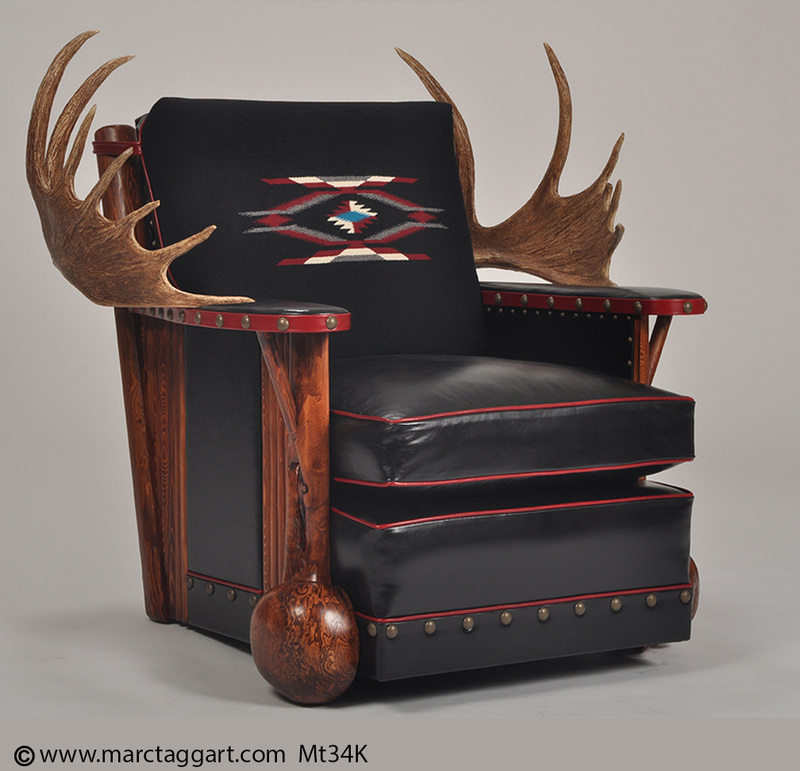 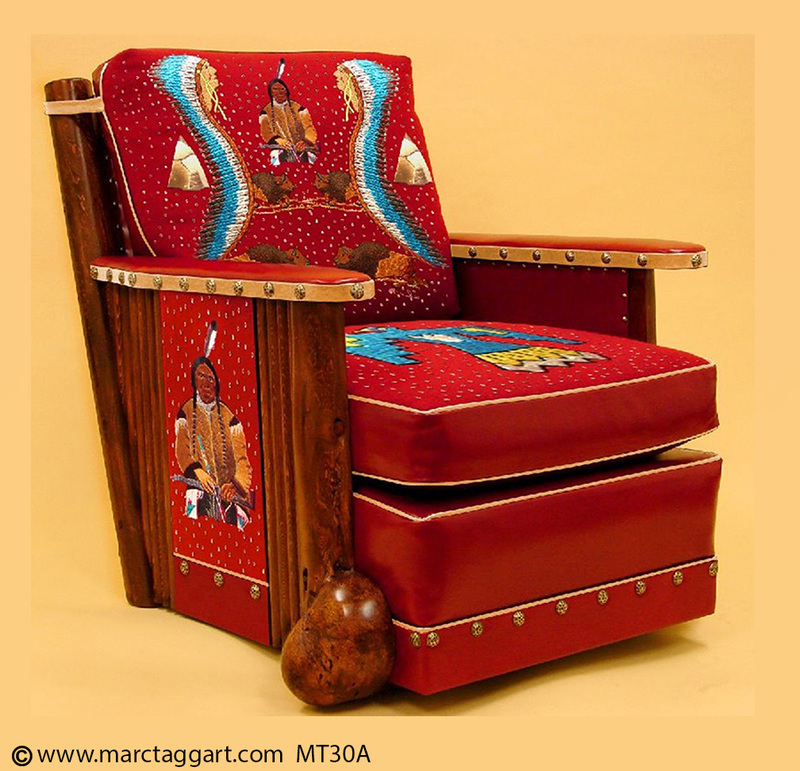 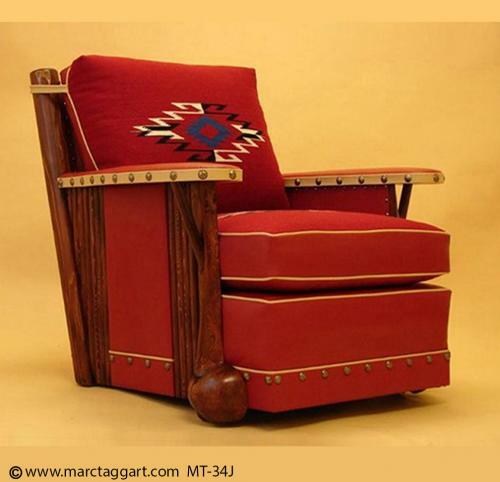 Our Burl Club Chairs can have hand pealed rocky mountain fir on request. 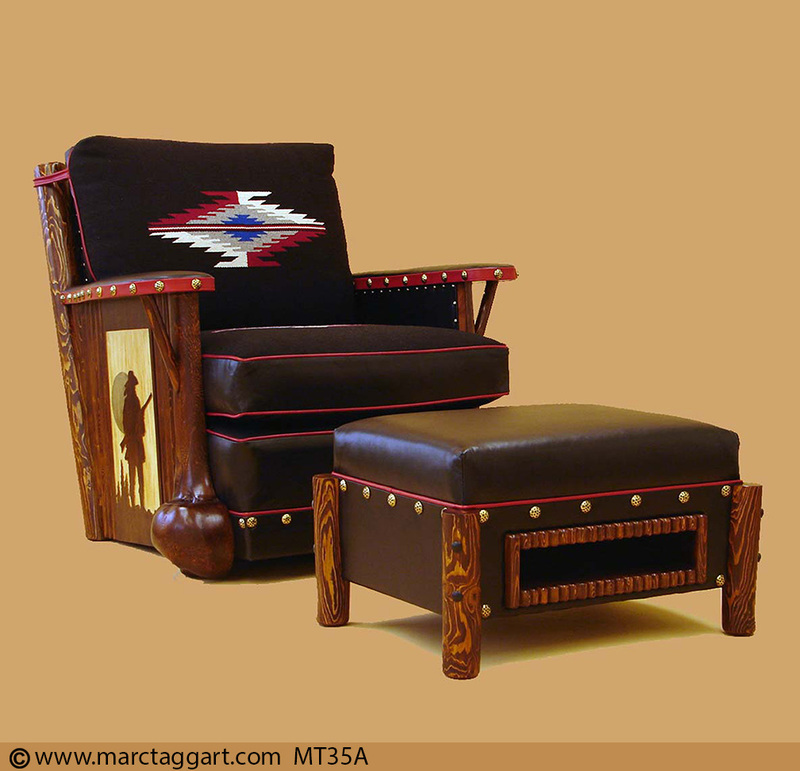 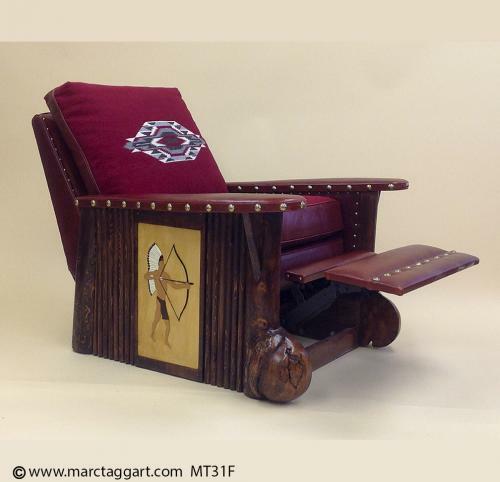 Ask us about custom furniture for big and tall people.